For the first time in history, the Queen could face industrial action among disgruntled palace staff. 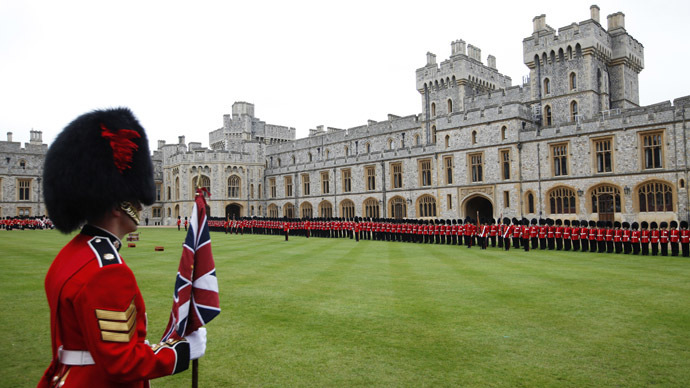 Workers at one of the royal family’s most iconic residences, Windsor Castle, are preparing to ballot in a dispute over pay. The Public and Commercial Services union (PCS) confirmed more than 100 of the lowest-paid workers at Windsor Castle are due to be balloted from Tuesday, and will decide whether to take non-strike action in a dispute over pay. The ballot announcement came as the Queen prepared to meet Prime Minister David Cameron to formally dissolve parliament before the May 7 general election. PCS have said staff at the palace, where starting salaries are as little as £14,400 per year, receive less than the living wage and have suffered years of pay restraint. The union has proposed non-strike measures involving the withdrawal of “goodwill” measures, such as giving tours to paying visitors of the castle. The initial dispute over pay began in 2014, when staff at the palace accepted what the union said was an “unsatisfactory” pay offer in the knowledge that allowances for duties such as giving tours would be considered during the coming year. The union decided to ballot for industrial action after it was revealed the allowances would not be allocated. If PCS members vote in favor of action, it will take place in the week before the general election. Campaigners for Republic, a group which advocates an elected head of state, have criticized the behavior of the Queen. Smith further said the fact that staff are paid so poorly was exploitative. Voting in the ballot for industrial action continues until April 14.